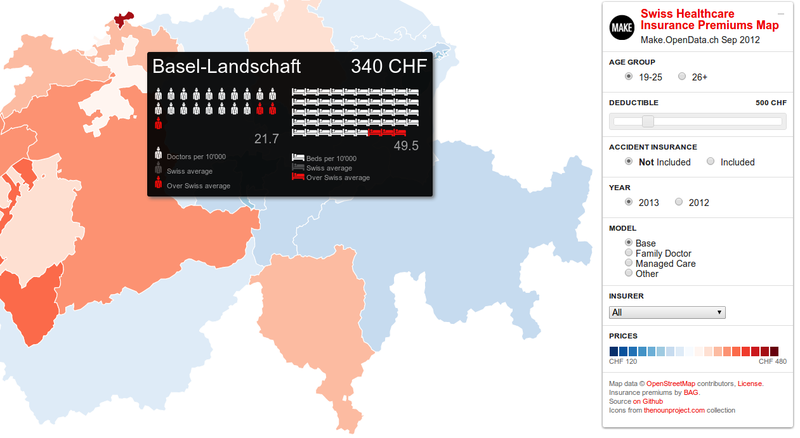 This is a chart made with @Alco last week in preparation for the Opendata.ch reboot. 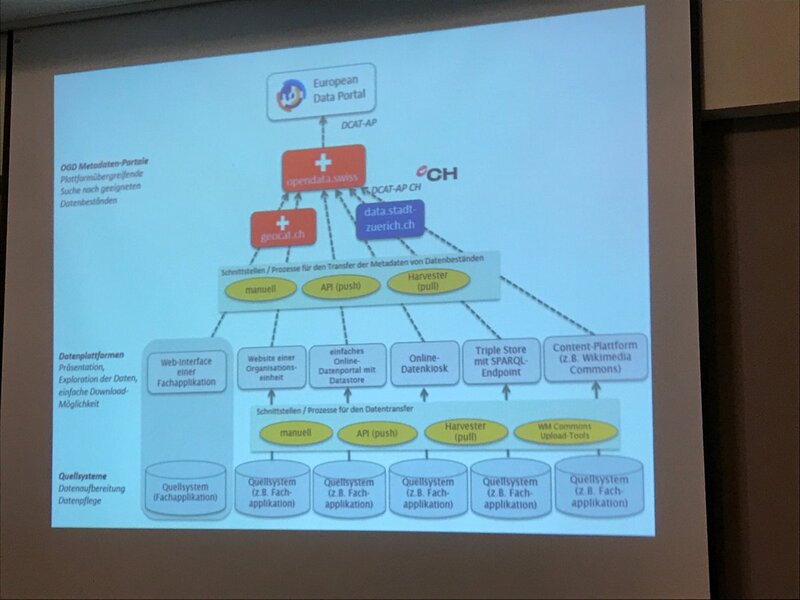 It was not meant to be an accurate organigram - just a potentially useful (or, at least, mildly amusing) overview of some the relationships that the Swiss open data association, it’s community and working groups, have built up over the years. 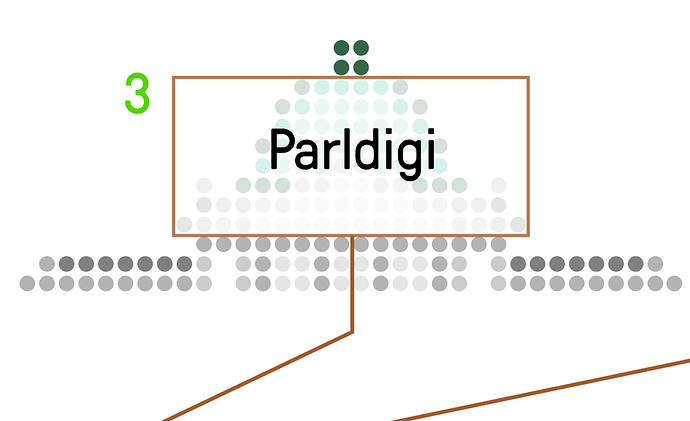 Unintentionally, there turned out to be 24 nodes in this chart. 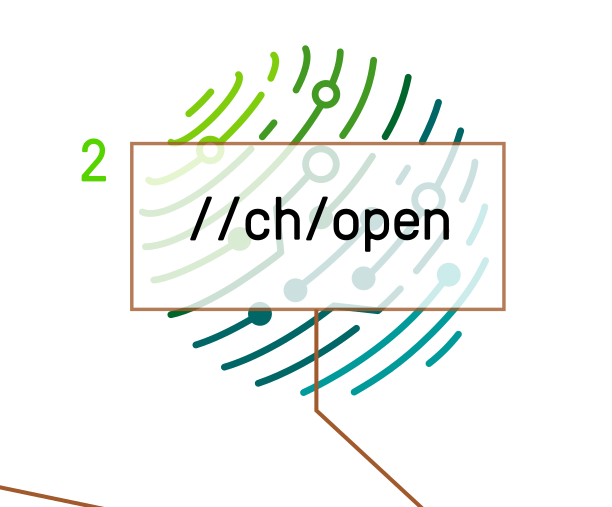 As there are 24 days in an Advent calendar, and our open source community runs an online challenge for this time of year, I’m going to “open up” each one of those nodes, one a day, starting this weekend. 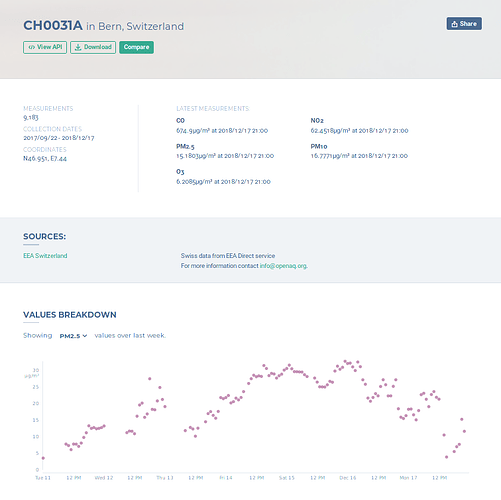 Using the Data Package Creator from the Frictionless Data project at Open Knowledge, I could describe this (not fully open; commercial usage on request) dataset of statistics on the languages of Swiss residents - the topic of a recent hackathon - and re-publish the metadata on GitHub. All without falling off a steep incline. 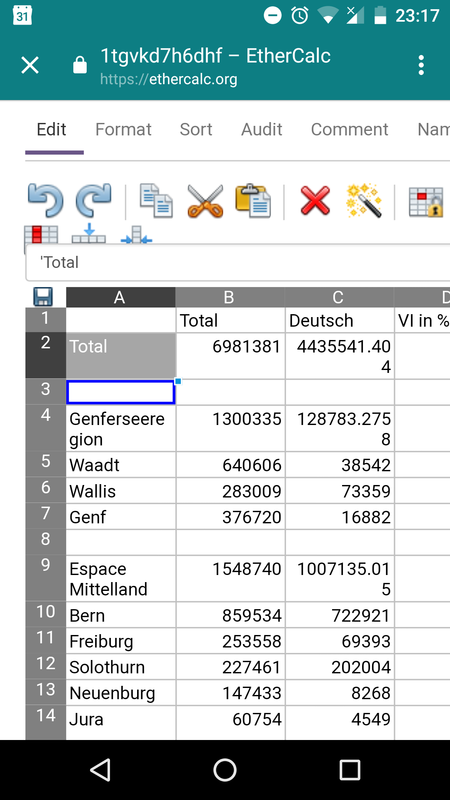 With no regrets of leaving the laptop at home, I downloaded an extract of a dataset from opendata.swiss, and converted the first tab of the Excel spreadsheet to CSV format. Doing this using proprietary spreadsheet apps is easy… but… in order to stay open, I used SheetJS (in particular this conversion demo) to open the file, and EtherCalc to edit it. 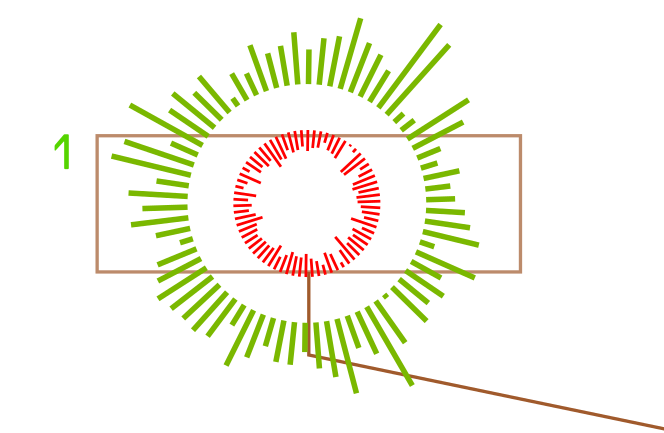 Since the spreadsheet’s headers are tortuous, this was rather frustrating. But it worked. 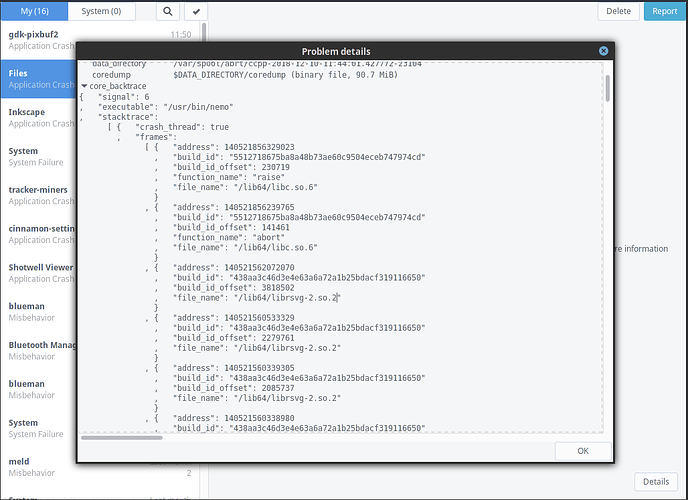 This initial datapackage.json was #issue linked to the ticket where we recommended and described this dataset last week. The next generation understands very well that information on a smartphone is power. So, please, publish human-and-machine-readable data under open licenses. Don’t just make it look pretty - strive to make your knowledge useful! Have a great start to December, and stay tuned as we poke at another door tomorrow. //ch/open is the association for the promotion of Open Source Software and Open Standards in Switzerland, within which Opendata.ch and many other similar initiatives have started, who continues to the parent association providing infrastructure and hosting the community of digital rights and free software activism. //ch/open’s members are behind DINAcon, the annual event we have been closely involved in. //ch/open is big on sustainability, and currently provides the best way for open source developers to get help and promotion in their projects, through ossdirectory and market, the Workshop Days and DINAcon awards. During yesterday’s mobile data wrangling, I tried to see if purely open source tools could be used to get the job done. They could - though I came across a frustrating issue of not being able to import spreadsheets directly into the EtherCalc editor. This is something that has been raised at least a dozen times in various issues in the repository, and issue #105 proposes to make it an option in the interface. There is an import function (unfortunately broken - see my issue #651) on the home page, but it is easy to miss and users may also wish to import data into an exisiting sheet. The project has been primarily maintained over the past 6 years by Audrey Tang, a prolific programmer who is apparently today the Digital Minister of Taiwan. The second biggest contributor is @EddyParkinson from Australia. There are other popular platforms like this one where coders are earning their keep, from Patreon to FundRequest, new forms of association, like OpenCollective, probably a bunch of more local initiatives we should link to. I don’t know if a humble bounty will be enough motivation for the EtherCalc folks to find the time to work on the project. But I do hope that it does it’s bit to help to interest more people in the code - that it helps you, dear reader, to think about sustainable open source - and that, hopefully, soon we will be able to import open data into an open source spreadsheet directly on the open web. Post a bounty on audreyt/ethercalc! 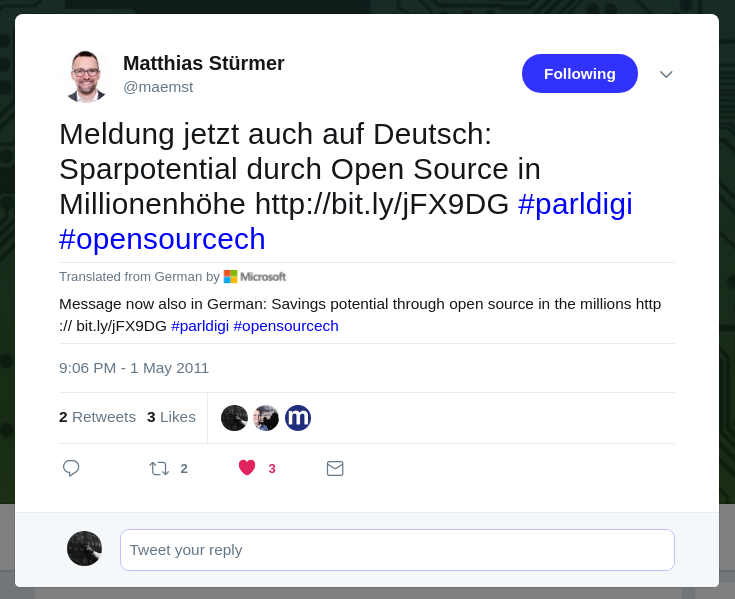 On the evening of May 1 in 2011, a friend of mine tweeted a link to a short article in the German online paper Pro Linux, mentioning the results of a study from Denmark on the cost saving potential of open source in the public sector. He added the hashtag #parldigi, and through this introduced me - at the time still living in the U.K. - to the Swiss movement for “digital sustainability” in government. It took many more years before I understood what Parldigi stood for, or met some of its members. 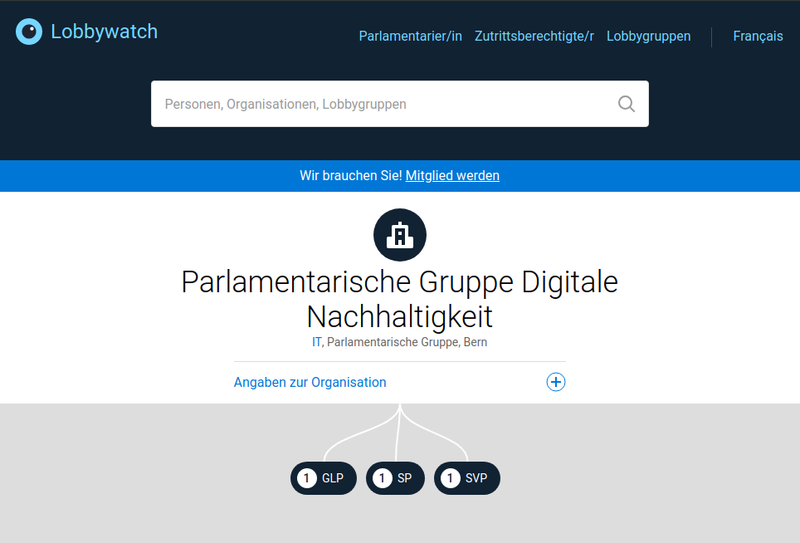 Having the support of politically ambitious, technologically savvy people is a corner stone of the open data movement, and today the Parlamentarische Gruppe Digitale Nachhaltigkeit continues to debate and promote reform in the open source, data, hardware and related topics in Switzerland. I took a few minutes today to scrape the list of current members from their website, prepare a signed Data Package, and submit it to update their LobbyWatch page, pictured here. You can see the proposed Data Package and it’s contents below, and feel free to send in any critiques or suggestions, such as what other columns you might like to see in a list like this. Forked for universal push rights! 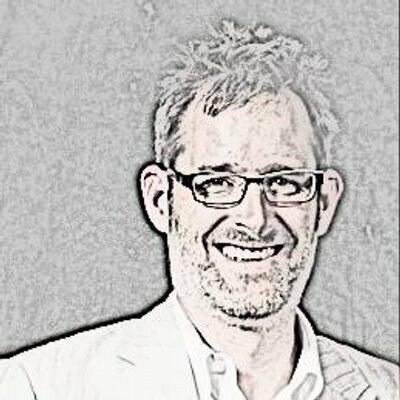 Contribute to douglas-watson/parl-scraping development by creating an account on GitHub. 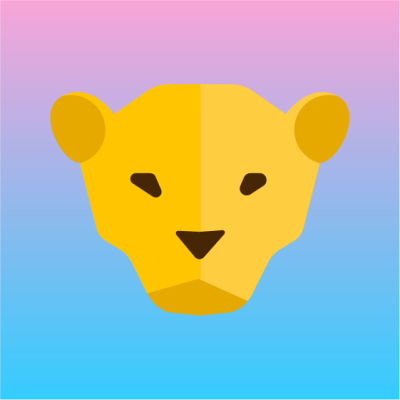 Morph-based scraper. Contribute to everypolitician-scrapers/switzerland-parlament development by creating an account on GitHub. HAPPY FAMILY. The existence and maintenance of which is thought to make a politician fit for public office. If you’ve been following the inverted tree at the top of this thread, you’ll see that we are now at the last of the “roots”. This has been the matter of some debate already with my colleagues. What motivated all this? What keeps the fire burning? We have had the roots of activism, business, policy - only one core root remains, in my mind, and that is the root of culture. 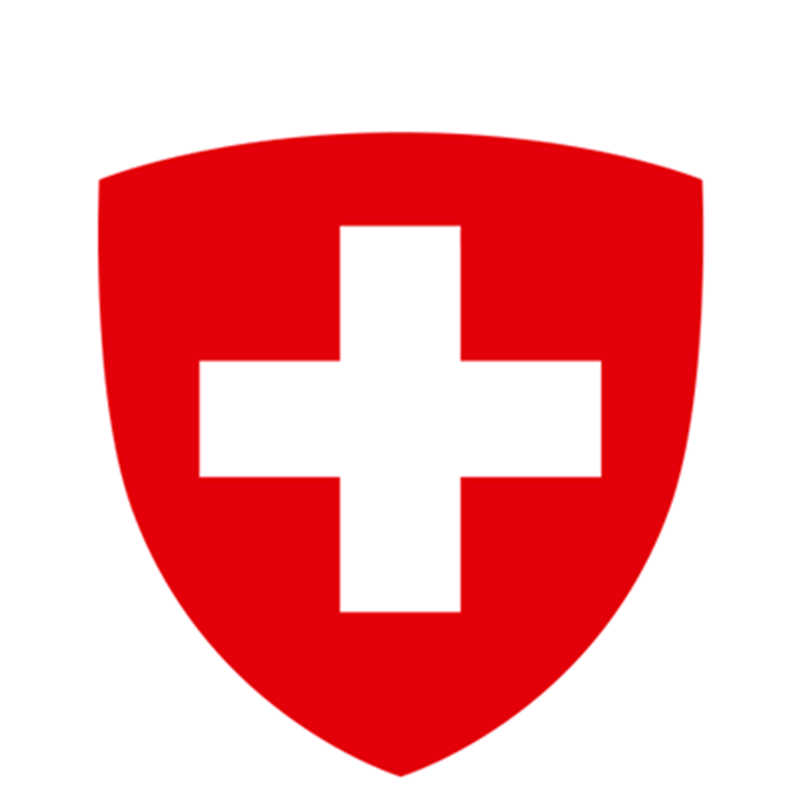 Over the years the one group that has been consistently active, ceaselessly promoting the cause of copyright law reform in Switzerland and Europe. 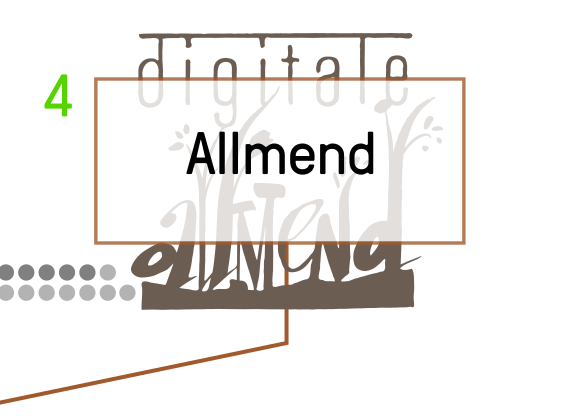 Campaigning for Open Access - and all the things that it enables from art to science - has been the purview of the humble yet committed group at allmend.ch. I still don’t know much more about the allmenders, as they call themselves, than what the Internet says. But I do believe they are fighting the good fight. We all have a choice - keep worrying about those accounts, or worry about what is happening to the works of culture and language that define and shape us and the next generation. Set up a comfy nest, or set an example. If you do donate after reading this post, let me know. 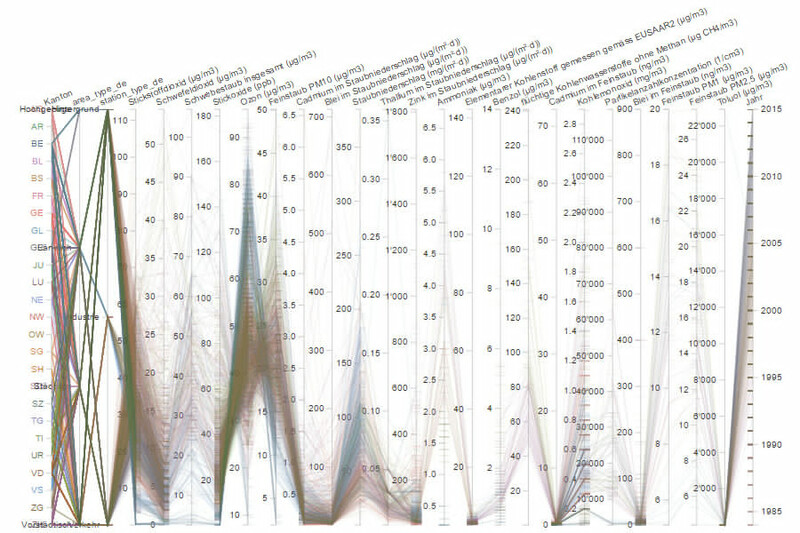 One of the neatest #glamhacks we’ve done over the years is “Да Да Ботник”, a minor feat of machine learning and net art. The code is very dusty, and the repository is in the archive. But if I hear of at least 1 K CHF filling the accounts of the allmenders this holiday season , I will visit the Danger zone and bring the bot back to life. I promise. Open != gratis. Open is a commitment: to customers, partners, fellow users. Whether it is publishing quality code based on shared principles and standards, or publishing quality data that is authentic (traceable), maintainable (living) and responsible, we are developing a common vision is of a smarter world where humans and machines work better together. Whether we apply this for peace or profit is an individual choice. Yesterday I didn’t manage to “open the little door” due to a packed schedule, so today is a double feature! My advent’s calendar hack was to contribute a Data Package to the #openglam tag on GitHub. At the last OpenGLAM event, we received data from the Lichtspiel film archive in Bern - who sent us an export of their film database. We did not have time to do something with it at the hackathon, so I wrote an initial converter and created a Data Package from it yesterday. 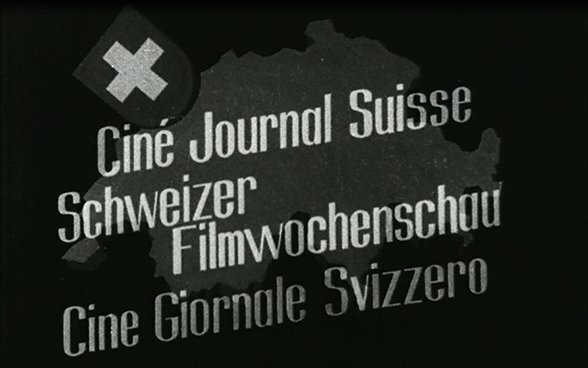 Feel free to use it to discover gems from the history of Swiss cinema! And share ideas via the Issues tab of what we might do with it. 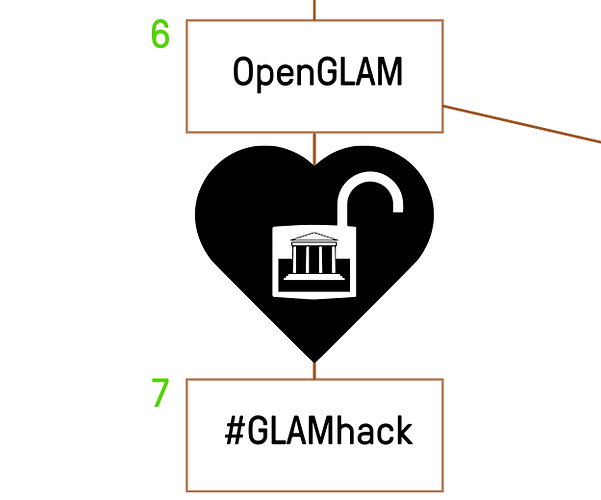 An important and increasingly visible part of the activities of Open Knowledge in Switzerland have been the hackathons related to Open Cultural Data and the OpenGLAM network, that have come to be known as #GLAMhacks. During these events, people like myself are let loose on databases of digitized works, and encouraged to be creative, explore, and to help promote the cause of openness and remix culture. No other hackathon series has had quite the same variety of project ideas, in my opinion. We have had theatric performances, games and game data, and even A.I. ghosts. Boo! Behind the scenes of GLAMhack, a highly dedicated and well organized team encourages and supports institutions from around the country to prepare datasets for open publication. And by open, they really mean it. 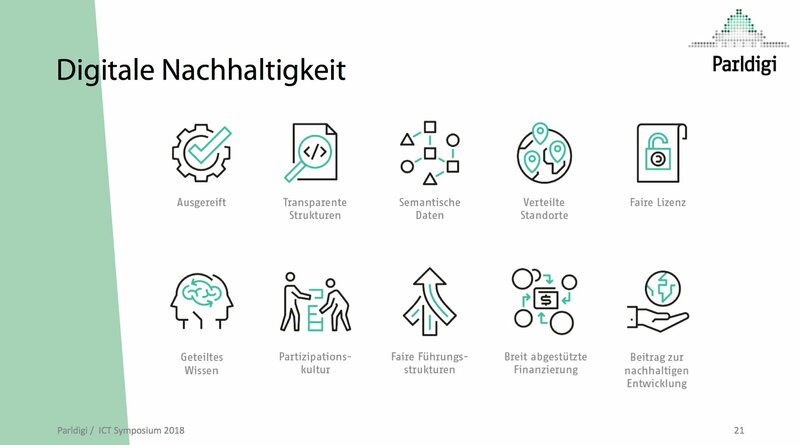 In the slide that follows from a presentation by one of the project’s initiators, Beat Estermann explains yesterday how Open Government Data plays out at a lunchtime event in Bern. 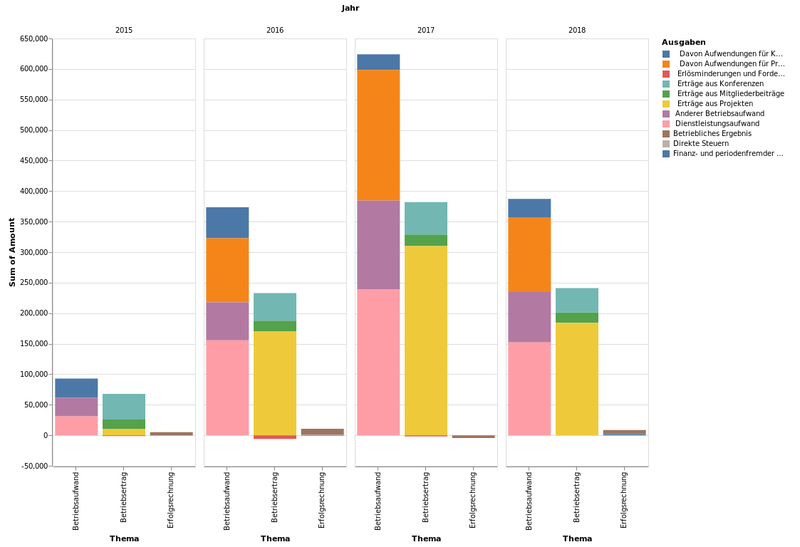 The same trickle-up effect is seen in the community’s efforts, as datasets go from being handed to someone on a USB stick, being shared at the hackathon on our DataTank™, to being cleaned up and published on the national Open Data portal, to being promoted on the international, Europeana portal - as in the case of the host of the first hackathon, the Swiss National Library. Contrast this to the usual trickle-down path of official reports and statistics, and you’ll see why we’re excited. 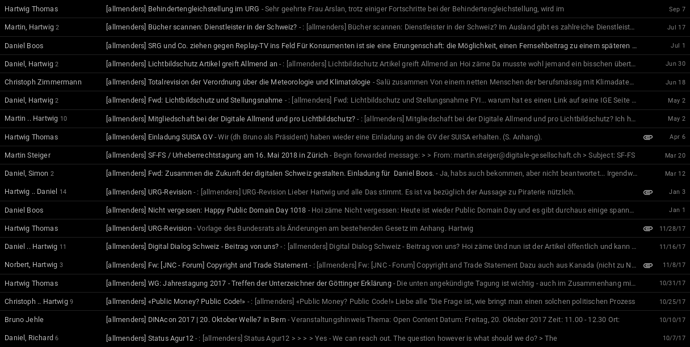 So what has the community contributed to this, besides hundreds of semi-random project ideas which can be found on make.opendata.ch/wiki ? 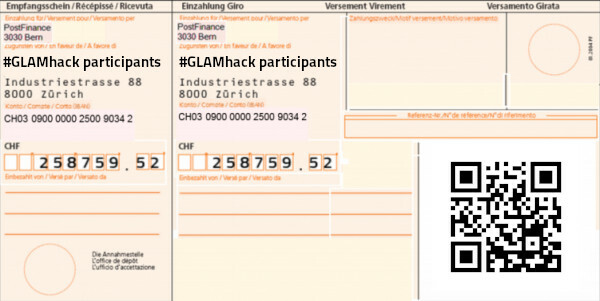 The #GLAMhack team also happens to be one of the most careful monitors of the impact of hackathons in Switzerland, running surveys, keeping track of various numbers, and publishing a report annually - this year’s draft is being finalized, but you can previous editions linked here. Compiling some of the numbers from their report, I’ve put together this quick estimate of the value of our contributions over the years, making some very very low assumptions about the average time (2/3 of planned time) and wage (the country average according to Wikipedia) spent contributing at the events. Not bad, for an event series which had a total budget of half that amount, and of course we are not including here the full downstream effect of new data published thanks to this community. Additionally, I spent some time today thinking about the feedback I got at the last #GLAMhack to some discussion about improving the platform, and complementing our old wikis with newer tools, adding these as issues to Dribdat. Please let me know if any of these resonate with you, and give us a ! After initiating the debate in the media and in politics, it is time to make open data happen: right here, right now, with the tools at hand, the data within reach, to bring out the ideas everybody is coming up with. 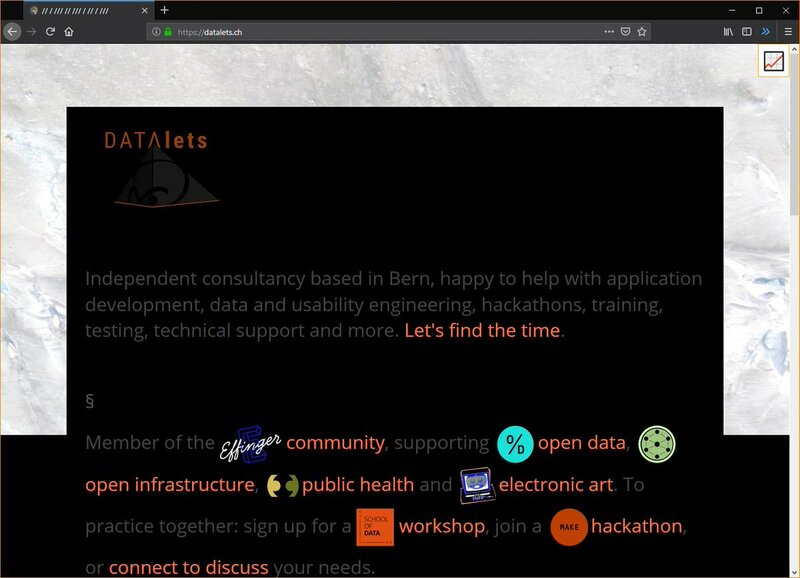 We are kick-starting a community of designers, coders, communicators and activists to help Switzerland move towards a more ‘direct data democracy’ for participation, transparency and accountability from the grassroots. Our goals were to create an open platform. 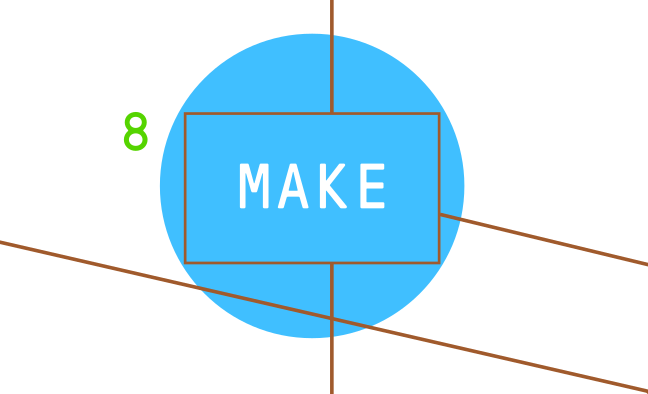 MAKE was more than just a name or hashtag, it was a brand and a set of tools and guidelines. 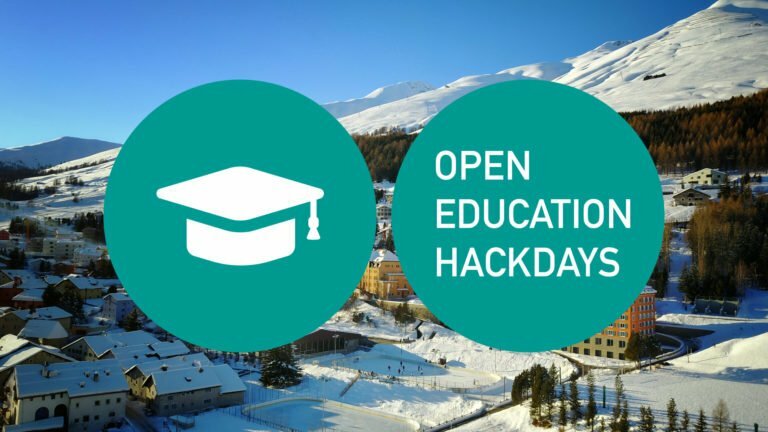 We wished to enable any hackathon organizer to be able to use it, either by working with us directly, or by following the guidelines - which later included at least one participant from the association, and the lesser of 10% of the budget or 1000 CHF contribution to our association. And we had grand plans for the joint venture as we carried our activism out across the country (GeoAdmin map). Here I won’t go into the details of what happened at these events, since you’ll find photos and descriptions all over this forum, in the wiki and on the website. Suffice to say that we’ve been able to MAKE a lot of open data - not just help to get the ball rolling and accelerate the deployment of open data portals, but to kickstart and help a lot of local initiatives get going. We haven’t been very systematic yet about keeping records ourselves, and seeing “what happened next” to the projects remains a research exercise for the undaunted. 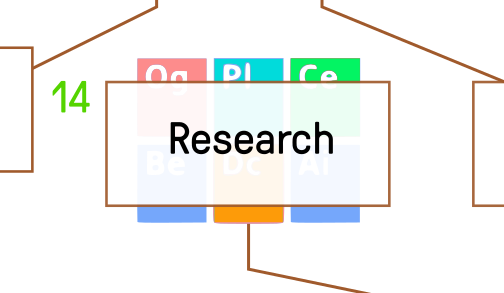 To help you get started, I’ve taken the first step to aggregating our old wiki projects. 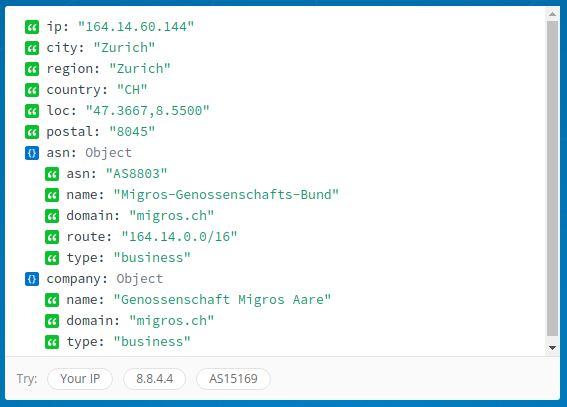 The new project site already has a CSV and JSON format API, and to complete the migration to hack.opendata.ch, we would need to automate the entry of every URL in the table into Dribdat. The aggregation happens in a scraper (automated extraction of structured content from a Web site) running on the Morph.io platform of Open Knowledge Australia. There are several other projects from Switzerland running on this platform, whose purpose I consider to be very much in the spirit of #makeopendata. Sunday is considered in the culture I live in to be a family day, to be spent away from family if only on very meaningful activities. On top of that, the 2nd Sunday of Advent (note: != Second Advent) is an occasion celebrated widely in this 66.9% Christian faith (2016 census data) professing country. And so I only had time for a small “Adventhack”, focusing on the co-working spaces that have had a big influence on my activities, a home-away-from-home and enabler of my work-life-balance. 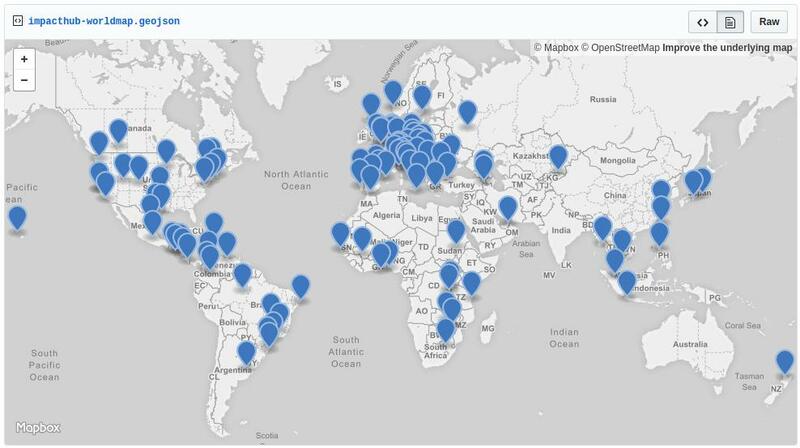 A map of a particular brand of globally-distributed coworking spaces called Impact Hubs, can be found as an embedded Google Map on the ‘Global Community’ home page at impacthub.net. It can also now be found as a Gist on GitHub in open data formats (CSV, GeoJSON, Data Package). In order to do this, I reverse engineered a nice solution documented by our friend @g33konaut. A protip by g33konaut about trick, api, json, martin-n, and gdrive. 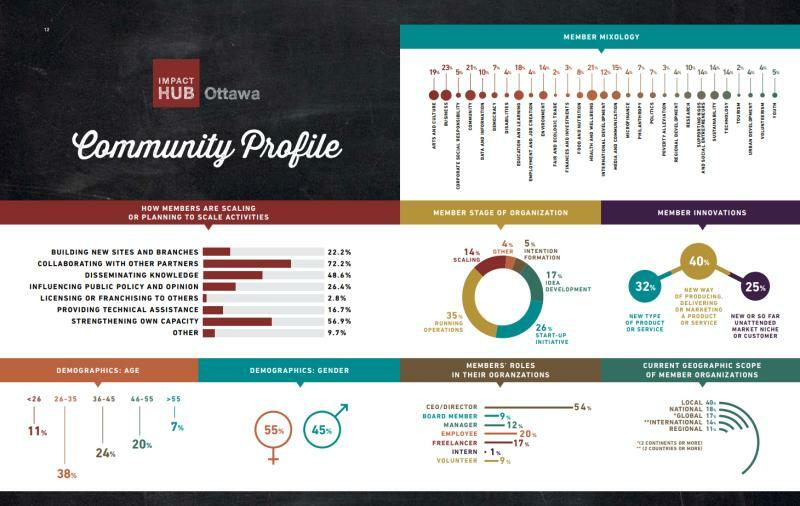 What is great about the Impact Hub, is the nature of this meta-organization. Based in Vienna, Zürich and London, it is a company that brands itself as a movement. It reaches out to the young-and/or-able entrepreneur through fundamental impulses of trust- and community-building, and an adherence to the Sustainable Development Goals - which every Hub subscribes to represent and foster. It sets itself as an example, for each of the startup initiatives it incubates, to follow. Measuring the impact of SDG’s is quite a pickle for fans of data (sdg-tracker), and I would expect the Impact Hubs to lead the way in this area. In previous annual Global Impact Reports, like the 2015 edition (e.g. 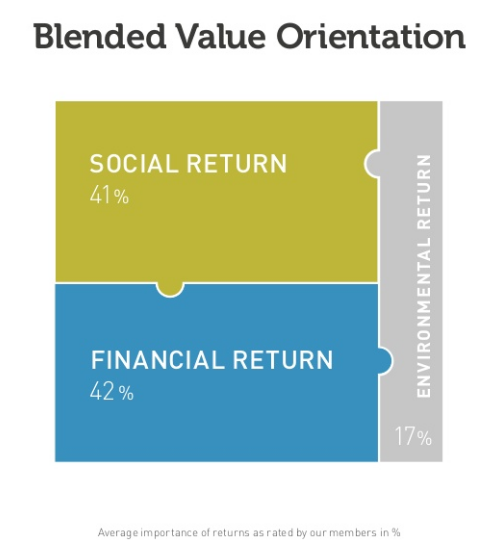 screenshot below), there was an effort to account for the number of startups, and to survey members to find out what industries and business models they address. However, I could find no initiative to make data accessible in open formats. 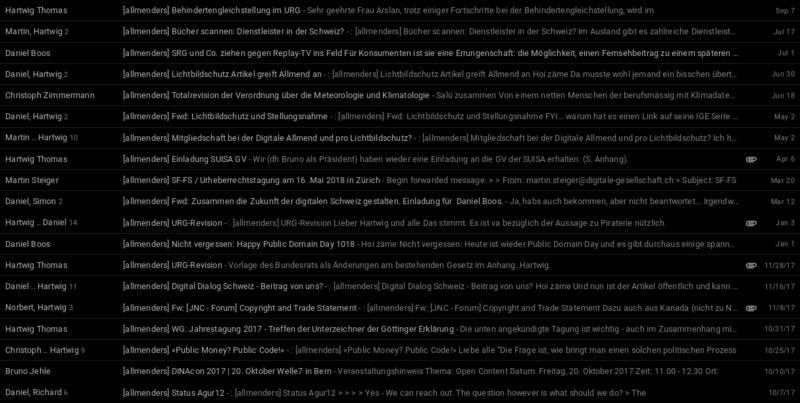 Perhaps the surveys conducted by the Vienna University of Economics and Business - Social Entrepreneurship Center are detailed in a research papers, I couldn’t find it. I searched open data portals in vain - and the best thing I could come up with was that map. Which, I think, could still be useful to understand the “global” part of the Impact Hub community, and I leave it to you, dear reader, to suggest questions of proximity and impactfullness that we could ask from these data points. Doing so would seem to go hand-in-hand with sustainable company strategy. For the duration of the existence of the Opendata.ch association, we have had strong relations with the three Swiss Impact Hubs - organizing and supporting events such as Make Zürich, IoT Hackathon and the Climathon, through André Golliez keeping “office hours” for several years in the Zürich Impact Hub, to most recently kicking off the Digital Learning Lab initiative at Impact Hub Kraftwerk pictured below. Plus, people in our community including myself have contact with Hubs around the world. I’m sure that a more strategic exchange here could be a triple win. 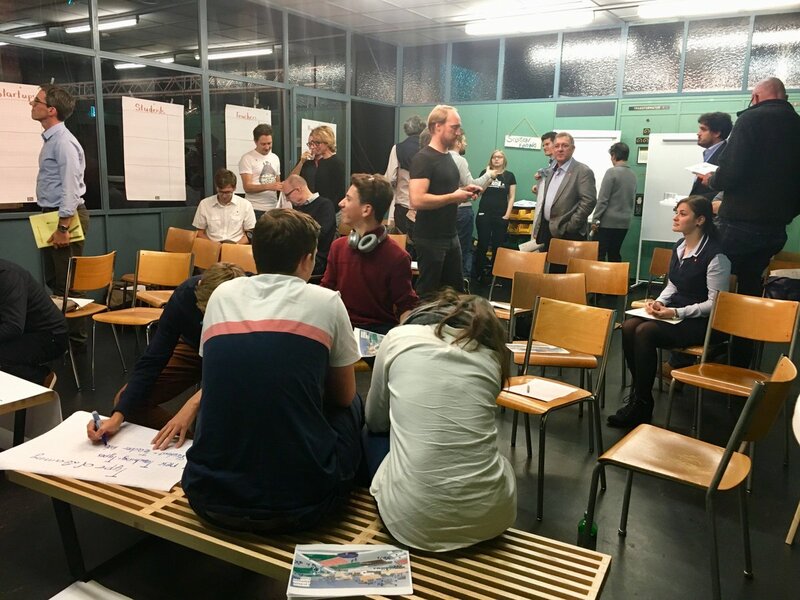 If you are part of the Impact Hub community, perhaps you could be inspired by the Financial transparency of the Effinger coworking space, or the various / datasets / on the topic of co-working available on the European Data Portal? If you are, and would like to see your Hub and network be more Open, let’s talk! Impact Hub Wordpress Theme Q4 2017. Contribute to impacthub-technology/impact_hub_theme development by creating an account on GitHub. Lausanne ImpactHub static website. 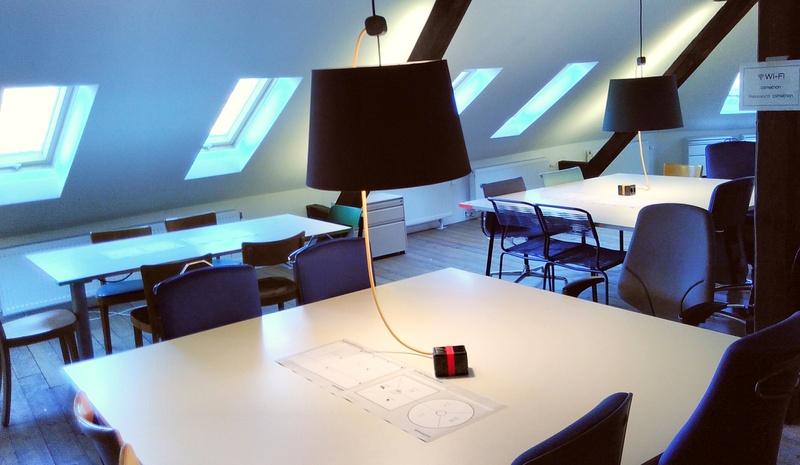 Contribute to impacthub/lausanne development by creating an account on GitHub. And that’s just for the beginning. Looking at existing collaborations like Partnership4SDGs, I could see some opportunities for working with Open Knowledge and the School of Data for positive, measurable impact. Finance for Change is a platform for individuals and organizations who want to use finance to trailblaze positive impact. We offer inspirational events, hands on learning experiences and meaningful connections to help you invest in positive change. Information Technology people have to love problems. 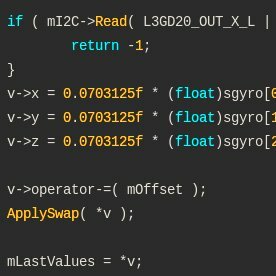 I’m talking about those real murky, down in the deep end of debugging unpredictable execution time in the VLIW instruction set of your SIMD architecture kind of murk. You’ve got to be dedicated to your craft, and so (speaking from personal experience) you tend to get focused on a very narrow lens definition of what IT means, what your scope of work entails, fixating on how reliable your estimates on highly defined work packages can be - rather than on how impactful or beneficial the results of your efforts are. 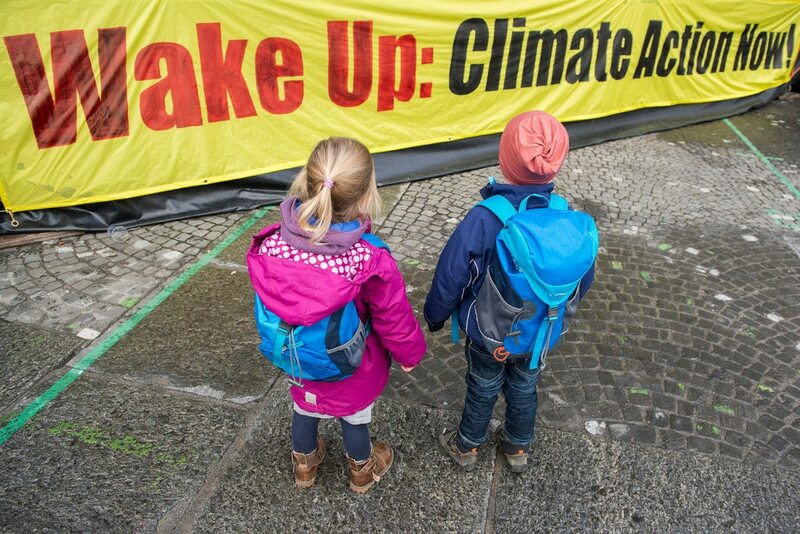 Climate change is the problem of our time. It’s everyone’s problem, but it’s our responsibility — as people with the incomparable leverage of being able to work magic through technology. 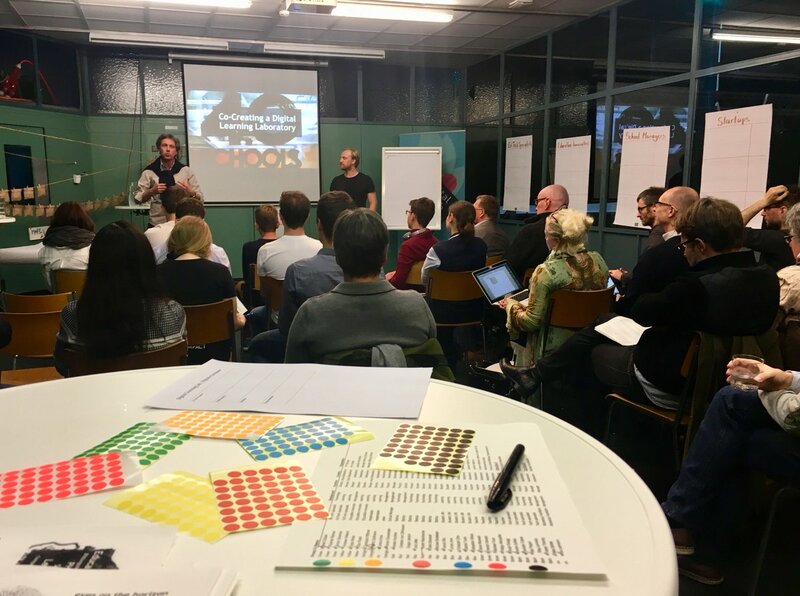 Report on the setup, workshops and projects at the 2016 Zurich Climathon. 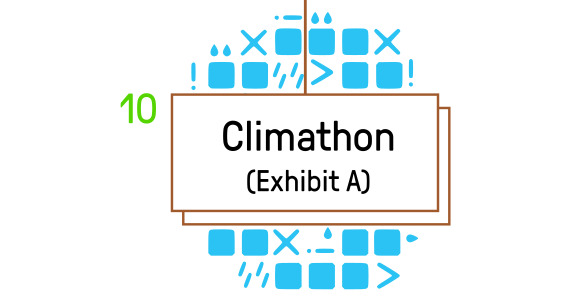 These Climathons kept happening, and I kind of lost track, and now I wanted to sit down and catch up and see what the Climate-KIC is up to these days. And I realized that, for all my interest in what @worrydream was saying, I have spun up a few more processes in the datacenter, heated up the blockchain with a few transactions… There was Proof of Work, but little proof that any of my work contributed to cooling down the planet. Last week, while rewriting my brand story, I went over the question of what makes Open viable, thinking about SDG 13 and what motivates us to make dramatic improvements in behavior in this direction. 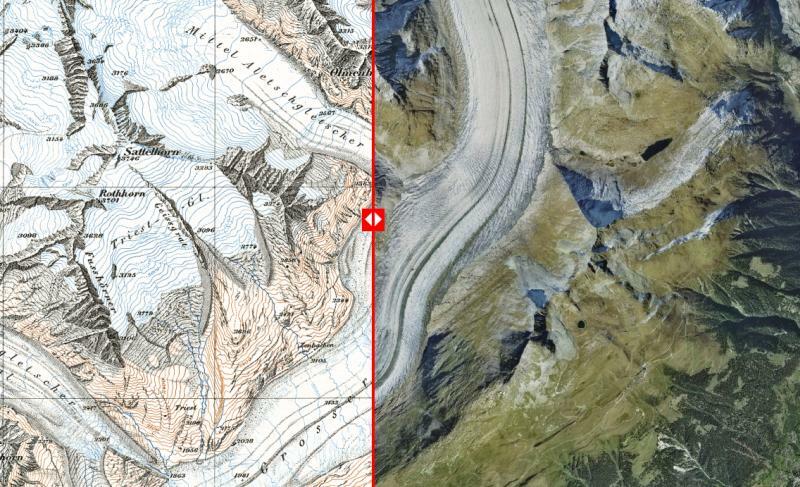 Our fascination with glaciers like the Aletsch Gletsch are also symbolic of the shrinking accessibility of the world’s knowledge, as key indicators are blasted off the open web (datarefuge). 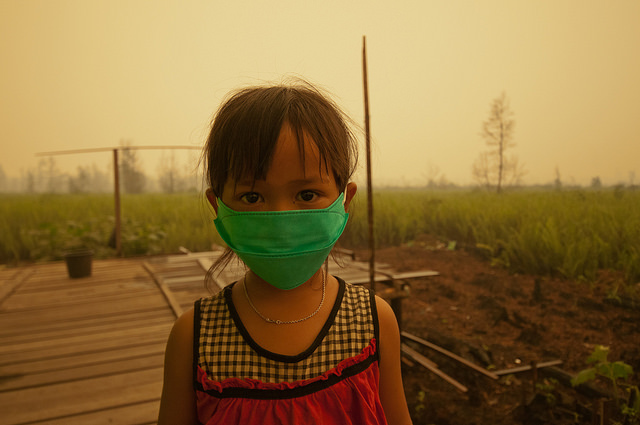 State of the World and Impacts of Global Climate Change. ^ can I haz wiki-page plz ? Even when the cycle of nutrition is carefully orchestrated, I am sure that today most of us - myself included - wouldn’t forego the occasional adventure of ducking into a hole in the wall eatery for a hot, spicy, don’t-ask-don’t-tell kind of meal that you will probably regret a couple of hours later. 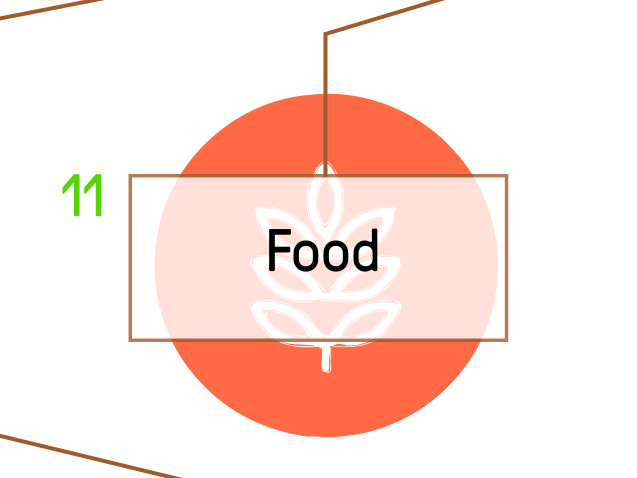 Here is another video about the future of food, suggested by the ZOE project team last February at the Basel Hackdays of the Open Food Data Program. 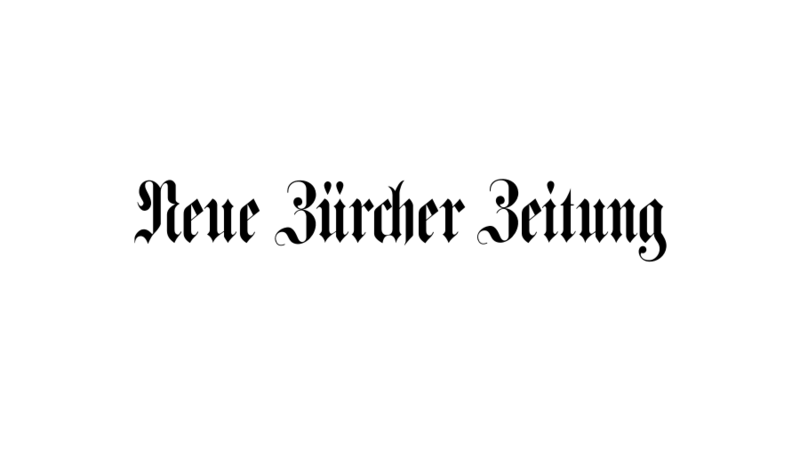 Übersichtsseite zu statistischen Daten der Landwirtschaft. The Open Food Data Program accelerated many things, paving the way to the more professional Strategy 2.0 of the association, demarkating more clearly where interests lie within our group. 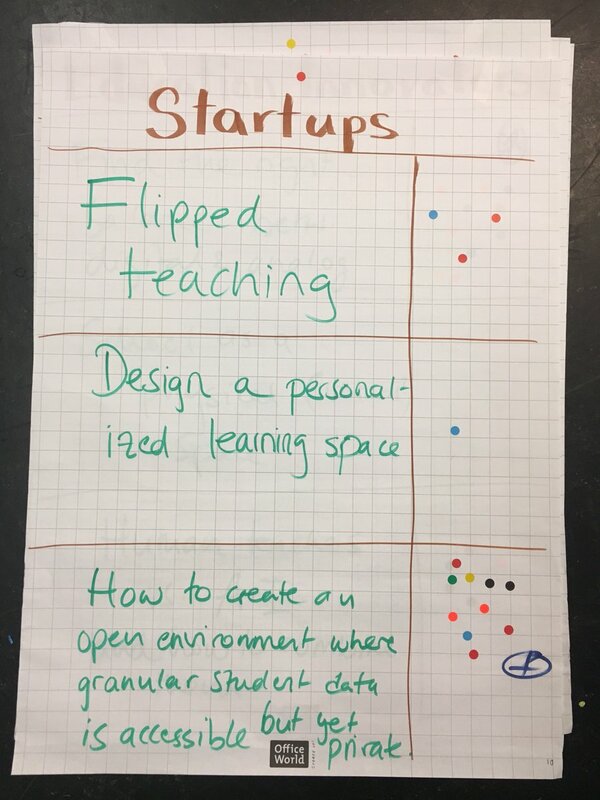 For the School of Data working group, it was an opportunity to run Data Expeditions, develop our process, and collaborate with Open Knowledge Portal on the Datacentral micro-portal, serving community data resources via API on our hackathon platform. In the kitchen, you see some people sticking to the recipe, others bristling at the mere suggestion of being asked to weigh an ingredient. Sometimes I wonder if the most modern principle is to stop thinking about food again - and let the thousand year old traditions and nutritional guidelines take over. Just let yourself be fed by the incredibly refined feeding systems of the world. Go with the flow, relax. In my student days in Canada, we called it the “maccaroni & cheese diet”, the most popular kind of ready-meal, beckoning with naive simplicity. And yet… All around us, the under- and over-nourished are making a mockery of our Smart Food ideas. The system is not there to keep you healthy and content, it contives to fill your stomach and empty your wallet. Without laws, regulations, ISO-certified manufacturing chains, watchful consumers and consumer rights groups, we could be eating horse dung and not know any better. Smart Food may be a prerogative of the up-and-coming, clamoring to prolong their lifespans. Open Food is a tool of the citizenry of the world, to use information processes for freedom of choice, and freedom to (not) care. I have dedicated my Tuesday hack to Open Food, firing up one of the startup projects we coached for the first time in a few months, dusting it off and starting a pull request. 3 commits changed 4 files with 25 additions and 11 deletions. The proverbial fuel on the fire. I would also like to give a shout out to @hannesgassert @sylviereinhard @florianwieser and everyone else involved for futhering the limits of our movement, hacking the system for the cause, and creating the grounds for many terrific and ongoing adventures. 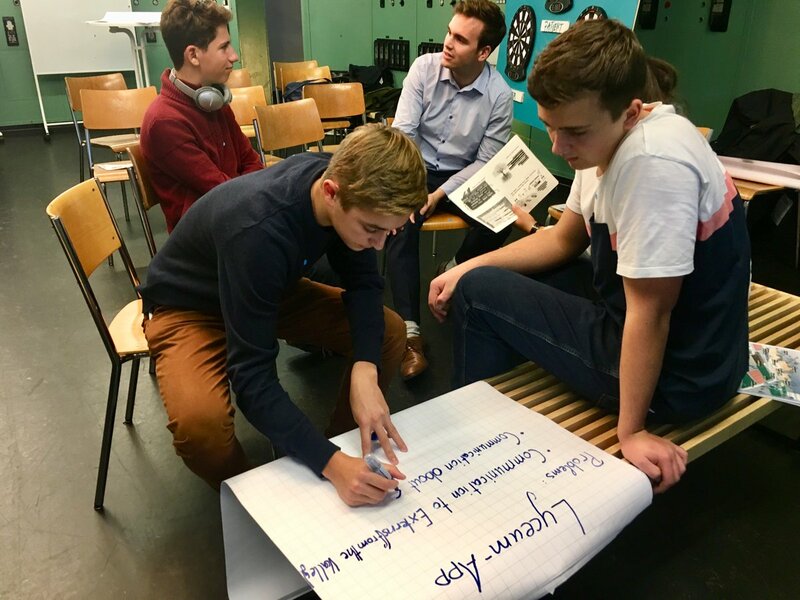 I was inspired to work on similar topics elsewhere, like connecting the Powercoders initiative to the school restaurant La Cultina, later developing a concept app together with their students and a graduate of the Powercoders pilot class. Lots of follow-up remains. 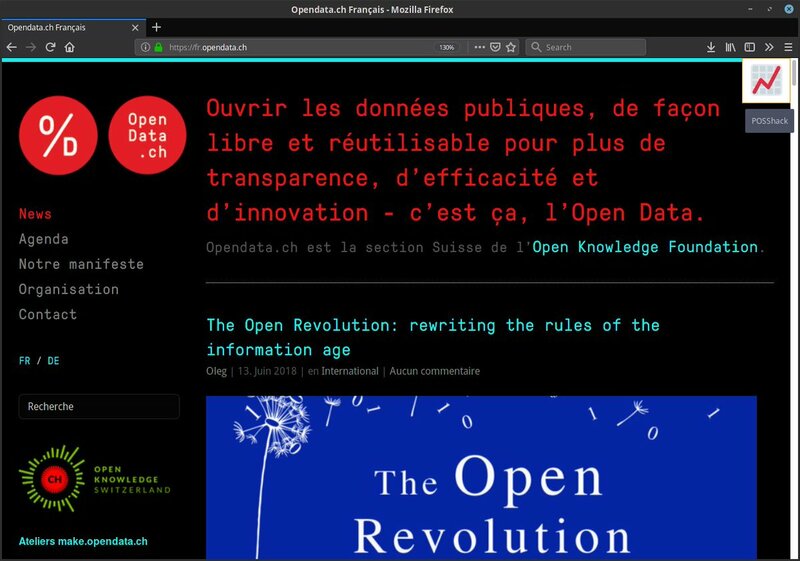 If you would like to see more initiatives like this one, please consider making a donation to Opendata.ch this holiday season. Every bit helps the cause! It has been a long and very dense week. I trust, you will forgive my brevity and missing the chance to update this thread for a few days. I have nevertheless kept up my Advents calendar, and will very briefly mention the “hacks” without going into much background. If you have a burning question, you know where to find me. Wishing everyone a pleasant last sprint of the year, if you’re not already on a well deserved time out! An idea posted along with a sketch, for externally embedding content from CKAN - the world’s favorite open data portal - overcoming technical limitations, and helping to make open government data accessible and well-supported in more places. Community support de rigeur. The Finances working group of Opendata.ch was launched during some of our first, Open Finance Data-focussed hackathons in Bern, 2012 and 2013. The group had an outward focus, building tools for local interest, creating machine readable budgets and statements. We made little attempt to contribute to international projects like OpenSpending, but we did have some impact within and beyond our borders with the well publicized Open Budgets project. I rather regret the until now missed opportunity to make the finances of our own association more open, and to lead by example. So together with @jonasoesch and @friedepeace, we prototyped some content for the group’s currently blank website - a visualization of the finances of the association over the past 3 years. These numbers are shared with members in detail at every general assembly - and are now conveniently available in summary form in CSV format here. Please consider making a donation for more innovation, transparency and efficiency! The following is a translated (thanks DeepL section of the Good Governance für den Verein (PDF) document from vitamin B. Good governance is based on the three principles of transparency, balance of power and effectiveness. Transparency means free information, open communication, participation and accountability to all parties involved (management board, members, customers). Transparency can be improved through regulations and appropriate controlling. Decision processes are comprehensible, regulated and documented. Board members and club members know how decisions are made. Connections (mandates, assignments) and conflicts of interest of the board members are disclosed. Fees, compensation and expenses are regulated in writing and known to all. As in functioning democracies, there should also be a mutual control (“checks”) of the committees in the association in order to achieve a balance of power (“balances”). Separation of powers, i.e. employees cannot at the same time be board members. A balanced distribution of power in the executive committee and in the entire association. The “four-eye-principle” is helpful, i.e. all decisions and agreements are made (at least) by two persons, legally binding documents are signed by two persons. Not too many offices and functions should be united in one person and conflicts of interest should be disclosed. Optimal size of the board: In medium-sized associations 5-7 board members are optimal, in smaller associations 3 persons. Organisation adapted to the purpose of the association: Board size, office, working groups, delegations are adapted to the association and its size. Regular recording of the performance of the board: its work is shown and reported. One thing I wonder about when going through the list of other people’s contributions at Oli’s OpenSource Advent Challenge, is how many of these are done within working hours, and how many of them serve an already commercially supported project vs. homemade experiments. In any case, I used the opportunity of tackling the somewhat touchy topic, in our community, of Open Research Data, by making official the release of an actual commercially supported project of mine with the University of Bern. 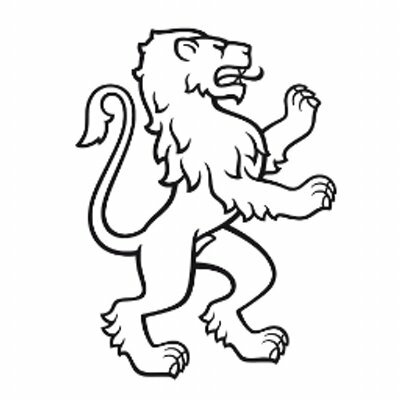 This weekend’s double feature in my calendar are the two faces of the academic coin: the University and Applied University of Bern, the two forming a critical basis for Open Government in Switzerland. The University of Bern one the focal points of OGD teaching and research at the Institute of Information Systems - in particular through the Forschungstelle Digital Sustainability. The Bern University of Applied Sciences (BFH, as it is abbreviated in German), looking to answer the questions “What should the state look like in the future? And how do we get there?” at the E-Government Institute. opendata.swiss was organized partly on the results of studies such as Ein Impact Monitoring Framework für Open Government Data am Beispiel von »OGD Schweiz« (Dapp/Stürmer 2013) and Studie zu Open Government Data in der Schweiz (BFH 2012) which provided indicators of economic and sociometric analysis for the government’s strategy. Wiki sources for the OGD Handbook. Contribute to dataletsch/ogd-handbook-wiki development by creating an account on GitHub. Doing regular teaching stints at BFH, working on pilot projects like MIDATA and studies like our upcoming hackathon research; and supporting events like DINAcon and the Data Visualization Meetup at the Uni through work with the IWI team - I continue to be involved with both institutions in my home town. There are cool showcases like IWI’s student projects, but still no single place from which to quickly connect to development (the data and the code!) happening in Berne’s small but active Open Data community. For today’s hack, I decided to bring the two to a virtual roundtable - and include the commercial and government initiatives in Bern / Berne (symbolized by that bear up there) for good measure. Post your favorite local open data apps until the end of the year for this online showcase! See details for rules. You can add your own projects to the showcase until the end of the year. Time is ticking! I still enjoy re-reading the seantis blog post about their design process. It is unfortunate that the project is no longer maintained. If you’re interested, clone my fork, which makes it a little bit easier to deploy. But beware of dragons (changes in the data format)! Back to the climate. Because that’s what is really at stake here, not just the weather. At this time, the Federal Office for the Environment (BAFU in German) publishes two interesting Health-related datasets on the portal: Air quality (yearly) and Bathing water quality. Both are downloadable in ODS (Open Document Spreadsheet) format, under a CC-BY license. I don’t know the answer, but I am keen to help people who care to find out. 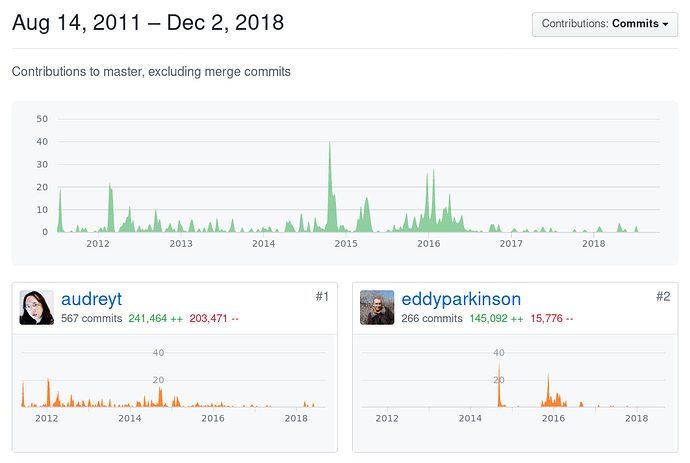 4 commits changed 137 files with 2993 additions and 922 deletions. 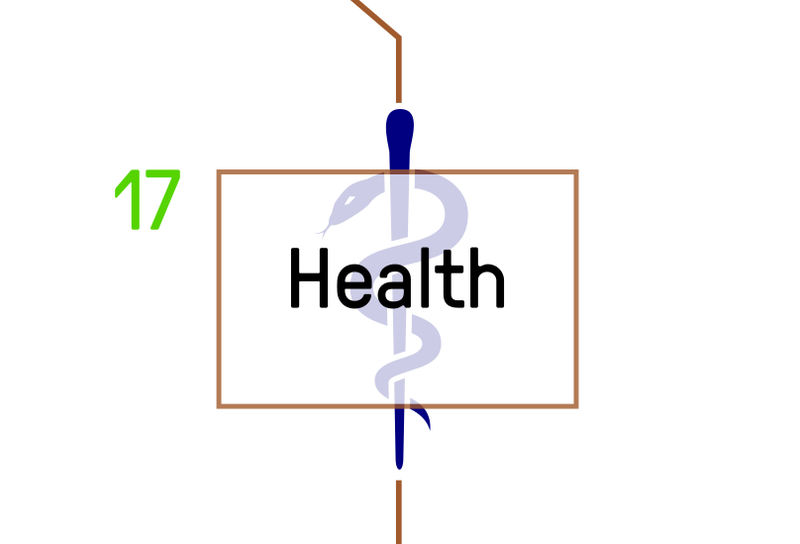 Today’s Pull Request refreshes parts of the deployment and maintenance scripts, known as roles from Ansible Galaxy, of the website for the Public Health association. The site is made with Wagtail, an open source CMS on top of Python, Django and PostgreSQL. And it has already faced a fair share of issues that require sharp hardening scripts and backup strategies. I’ve been working with the association during the past couple of years, and have recently helped to start a Working Group dedicated to issues of technology and data. We will be shortly posting our plans, so stay tuned! There are more bits of background on my blog. 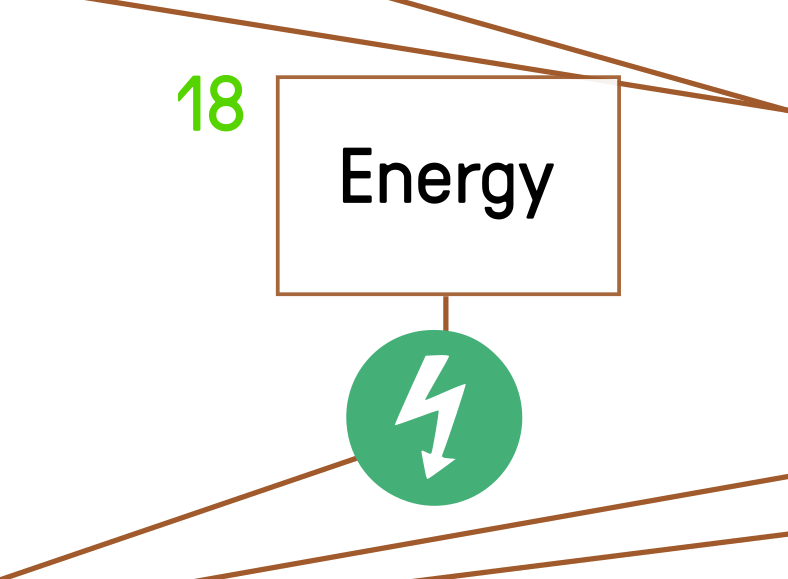 There is much to be said about #energy …our dependence and fascination with the non-living motive forces that so enrich and threaten our living existence. I wrote quite a bit about what Open Energy means to me in my 2016 blog post on the subject of the last Hackdays on the topic. And all I really want to say now is…save the date, because we are doing it again! 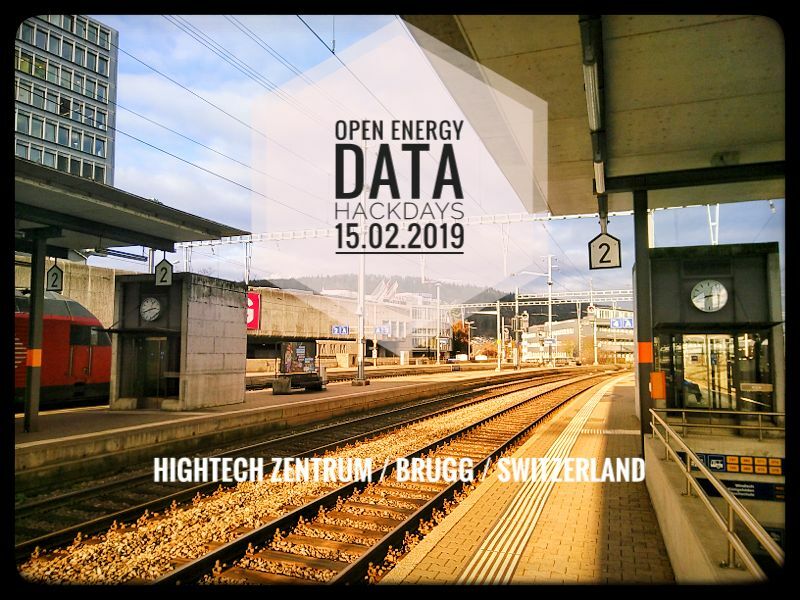 While we have booked time for a more in-depth discussion of platforms and infrastructure at Opendata.ch in the new year, it has been a while since I have updated the central site for Hackday projects. 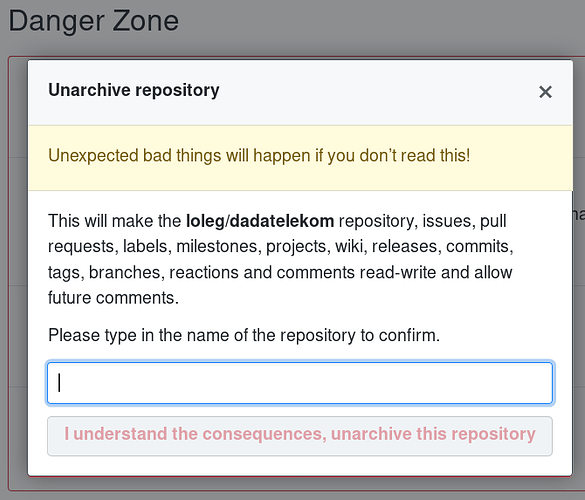 As we we started posting challenges today for our next event, I fixed the release history and started a Pull Request to update the instance. 30 commits changed 42 files with 981 additions and 574 deletions. What I would like to do as well is freeze the current site and start afresh, but that’s another issue. Today I didn’t have much time for code, my IT voodoo is struggling. This week much of my attention is taken up with going through the customs and motions of starting a new venture. Faithful readers may note that we rarely talk about business here. But business - in it’s oh-so-many forms - is just the art of making people move. 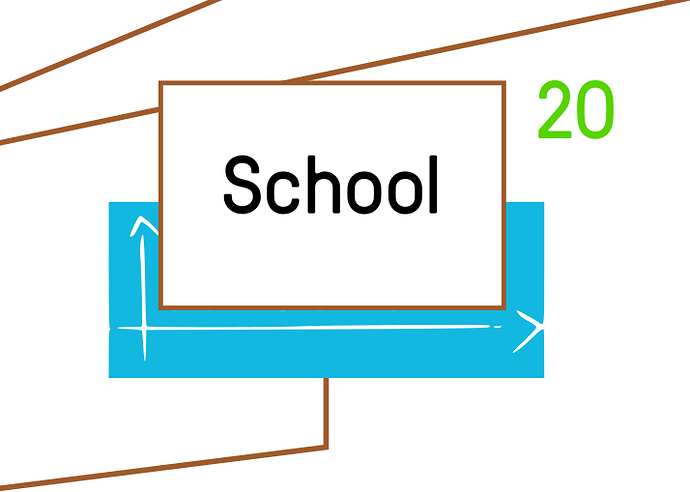 Move from home to the school/factory/office, move from their home town to their vacation destination, move from the kickoff to the goal line. Which is why I wish to dedicate this day to sports. What’s quite important in sports is, of course, fair play. In the case of my own experience, the competitive instincts to beat your own high score and to show off among your peers, contributed much to forming community around open data. And one of the most remarkable and well responded to events in the history of Opendata.ch were the Sports Hackdays in 2014. Ready, Steady, Go! was our rallying cry. 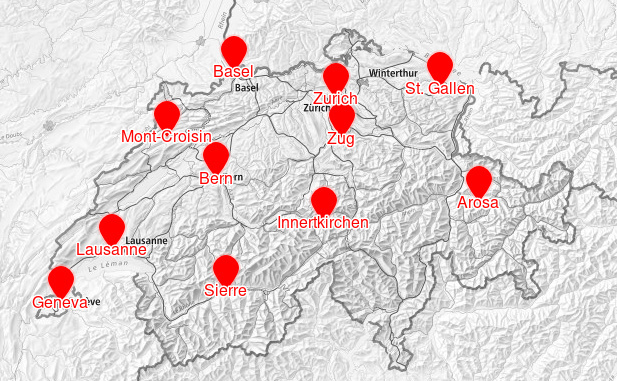 And at four awesome locations Basel, Sierre, Milan, Vienna, we had people hacking on sports data. This was until now our association’s only international hackathon, Urban Data Challenge not withstanding. So where are we at with Sports Open Data today? There are people in the community who are active, engaged. Not happy that we are not continuing the initiative we started, concerned about the general direction we are going. Next year, we need to pull together. After all, innovation is a team discipline. Afterwards, I hit the road to join the guys for a round of after-work unihockey. 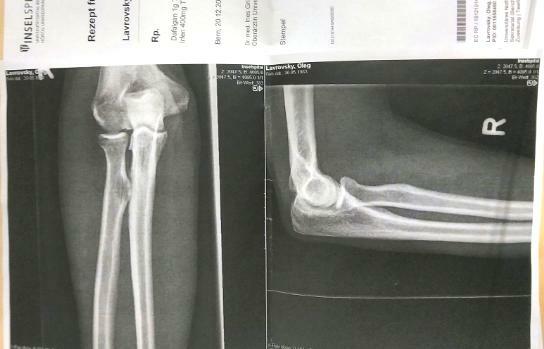 There was fun and it was a workout, but at one point my lousy footwork cost me a (admittedly tiny, but potentially more complicated) fracture of the ulna. The night ended in ER, with no tears shed. The staff and doctors were professional and invested in my well-being - which is really refreshing, when you’re not in for something serious. On top of that, I had the privilege to be accompanied by one of my team-mates, who helped pass the time discussing life, the world and everything in it. Without bragging or baggage, the discussion was a rare chance to properly introduce someone from outside of IT to the issues of open data and open source, discuss the philosophy of our movement, and get direct feedback on what made sense (and what sounds like hogwash). In the end, what could have been a disastrous night was saved by the care and compassion of fellow beings. If this is something that is normal and even expected in sports, it leads one to ask - why is it rare in our more “serious” pursuits? And in any case, bringing Open out beyond the confines of our technological bubble is as earnest and well-intentioned a contribution to our Open Source Advent as any code commit. 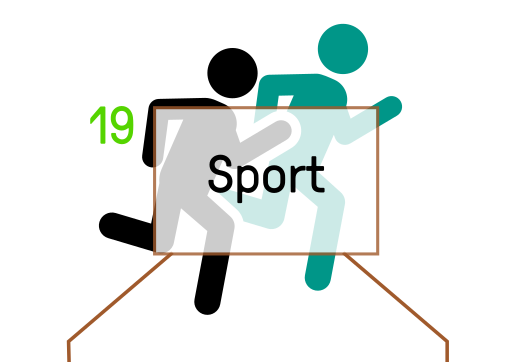 n. Physical activity that is governed by a set of rules or customs and often engaged in competitively. It once occurred to me that it’s rather hard to open any kind of knowledge if there is little room in people’s minds, or time in their schedules, for learning. 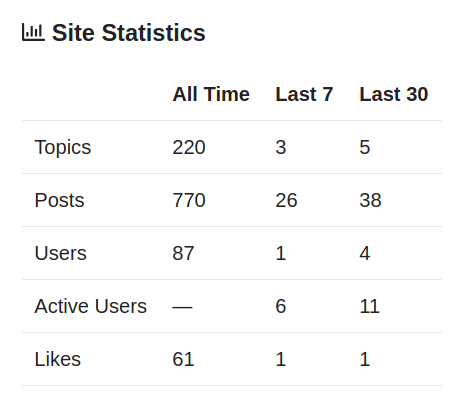 With these words, almost four years ago I turned a new page to start a blog and this forum, with the purpose of documenting the start of a School of Data chapter. 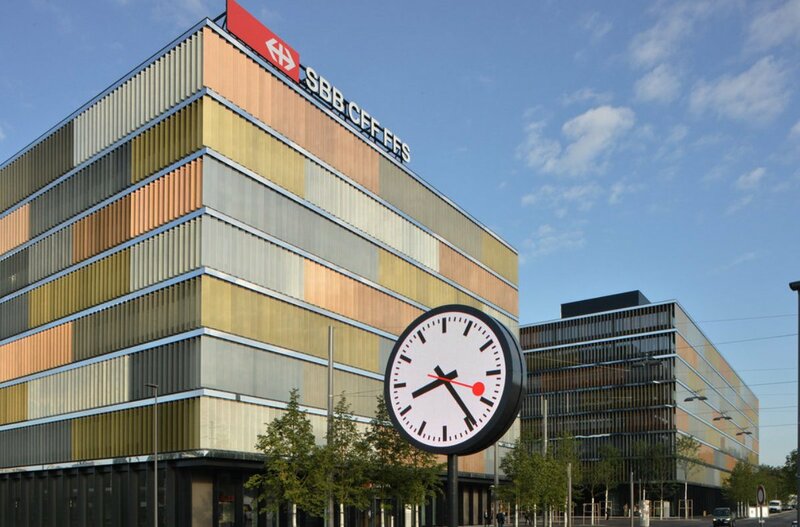 In fact, for a brief time, Switzerland was considered for the future location of the international headquarters - something that makes sense for quite a lot (admin.ch) of international NGO’s. 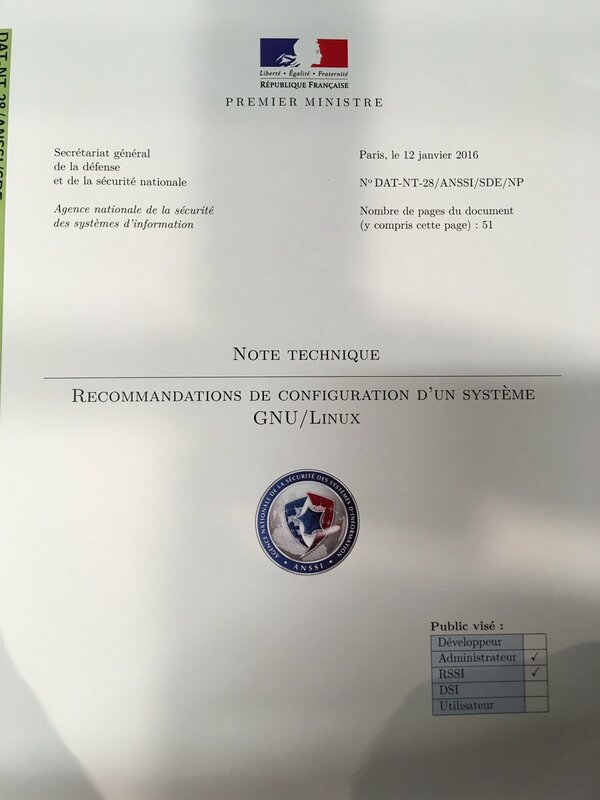 At present time, we are an official chapter that continues to be governed by an MoU (google hosted PDF), organized in the form of a Working Group of the Opendata.ch association. The main points of this were summarized in a post here one year ago. We are still not doing this consistently. Let me know if you’d be interested in helping to keep track! We have had very little of this kind of activity this year. No summer camp, few calls or emails. But I have been posting updates semi-regularly to the global network Slack. The network is alive and well, but for now we’re doing our thing on the outskirts. In hope to improve the last point, I dedicated my Adventshack to the work of the German chapter, der Datenschule and one of their very funky open source projects - Datenspaziergang. 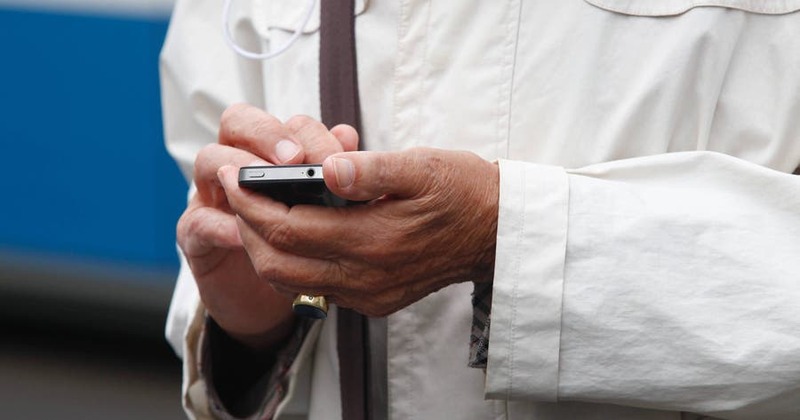 Currently available in German only, this is an app and backend that helps to plan “data walks” through the city. Developed as part of the Demokratielabore project, the basic idea is to let the community be your tour guide - and Open Data your destination. Discovering the urban landscape both through the physical landmarks and intangible data sources. 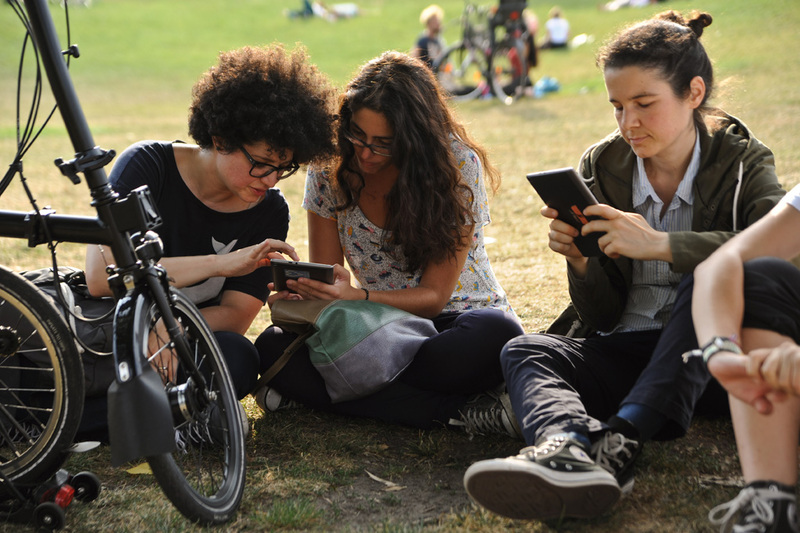 This has parallels to OSM’s popular Mapping Parties, as well as the inclusive mobile experiences of Layar or Pokémon Go. You can read more about the project and how it connects and expands on Data Expeditions in the article below. If you’d like to help me set up a Swiss server, try the experimental setup at spaz.schoolofdata.ch, then clone the repo, and get in touch! Going forward into 2019, data literacy has become embedded into the strategy of our local association. 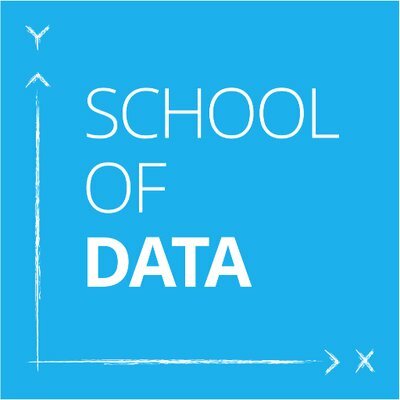 We have now started to see the connection to the scoda network to many of our broader activities, and the need for the materials and concepts that the School of Data provides. You should be able to see evidence of this in our upcoming Open Education Hackdays. Improving the regularity and accountability of our workshops, strengthening ties to HQ and other chapters, and organizing funding and regular support for our activities remains a challenge. If you would like to support the initiative, give us a shout! And please also consider following, joining and donating to our association. 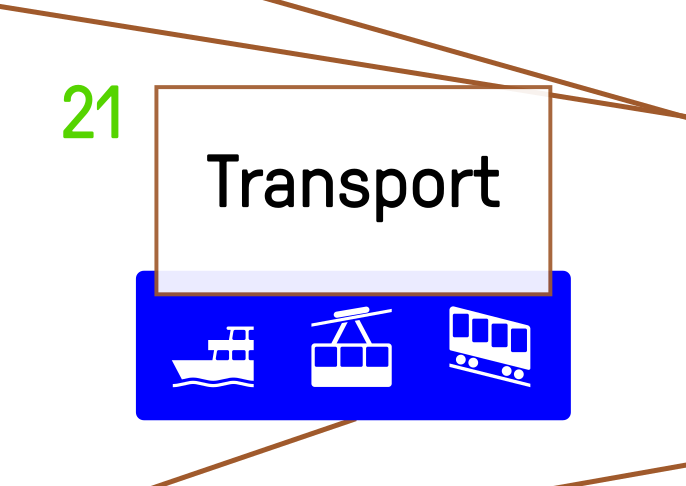 One of the biggest news in the data community last year (2017) was the so-called rescue of Transport.opendata.ch by one of the country’s well known online portals - Search.ch, who provide a number of useful services for data- and knowledge-seekers. Behind this are interesting stories: the beginnings of open data activism in Switzerland through reverse-engineering, one of our first mobility themed Hackdays, multiple years in hand-wrenching / debate with officials, intrepid DevOps efforts by @fabian and all the contributors to the most popular code project at opendatach. Swiss public transport API. 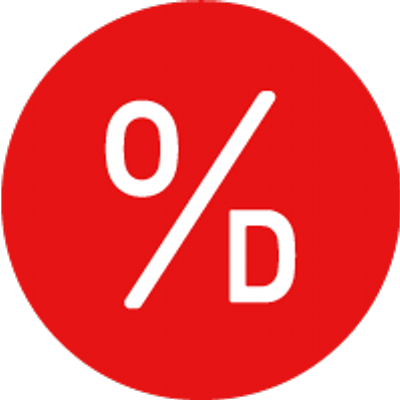 Contribute to OpendataCH/Transport development by creating an account on GitHub. The “proof in the pudding”: millions of hits on the API that ensure lasting interest in keeping the service going, as hundreds of developers in the transport companies themselves see the light of the open source + open data approach. 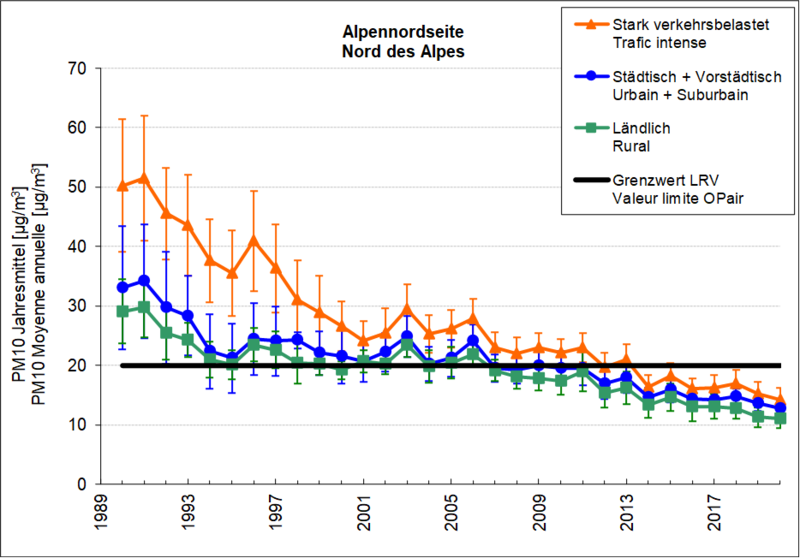 And, finally, came the ultimate validation: official adoption of the open transport topic at the opentransportdata.swiss portal at the end of 2016. Something the community was deeply invested in - for example, at that year’s annual (un)conference - and remains committed to. In my case, I was delighted to see that a Python wrapper is being maintained for the API by @fabaff, and put in some time to try it out and contribute some minor suggestions. 2 commits changed 3 files with 142 additions and 1 deletions. 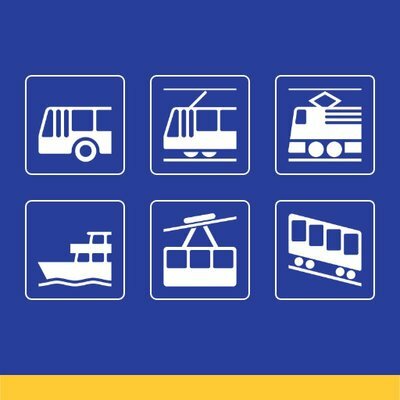 So give the open transport APIs of Switzerland a try, perhaps at the upcoming hackdays, and you never know - you might stumble upon the next killer app for the mobile generation!